Historians seem to agree that the Romans were the first to discover glass in the first century AD......The Romans were probably looking through the glass and discovered that the objects looked larger. They experimented with different shapes and found that glass that was thicker at the center and thinner on the outside magnified the object that was being observed....the benefits of these lenses were not appreciated until the 13th century, when scientists used them to study tiny insects. This is puzzling as anyone looking through a glass bottle of water cannot help but notice magnification. There is another reason for questioning the accuracy of the article: the sentence about Romans discovering glass in the 1st century AD. The Wikipedia article on the History of Glass cites several examples of glass objects pre-dating Roman times by at least a thousand years. On the other hand, I haven’t been able to find images of glass vision aids pre-dating the invention of eyeglasses (but there are plenty of images of bottles, beads e.t.c.). Is there any evidence of glass vision aids? Or did they use something else? In particular, I’m thinking of 9th to 12th century monks poring over manuscripts and writing chronicles in dodgy candlelight (or is this just a movie cliche?). Although people probably had better eyesight in earlier times, I’m thinking that many of these monks – especially the ones past 40 – would have found magnification very useful, even essential. Cursory netsearch brings up very common blips of history relating to the past evolution of reading aids or eyeglasses. There are some early Greek objects that have magnifying properties, although it is said they were apparently used just to decorate other objects. It seems indeed prudent to assume that at least the reading stones were in use much earlier than the 13th century and before the Arabs credited with inventing them did so. It would be particularly valuable to know what the state of knowledge on refraction was. Among extant scientific works, the first to discuss the subject is Ptolemy’s Optics, where we find an extensive, but unfortunately truncated, treatment of the phenomenon. Yet refraction had important and early technological applications, first and foremost to lenses. The use of lenses to focus sun rays is documented in Greek literature from at least the fifth century. Theophrastus, among others, mentions this method of lighting a fire, and Pliny talks of the medical use of converging lenses for cauterization. Because of a lack of clear literary references, it has often been denied that classical Antiquity used lenses to magnify images. (Such lenses must be made of better-quality glass, or else crystal, and require better grinding techniques, than those used to start fires.) But today it seems very likely from the archeological evidence that magnifying glasses were indeed in use. Archeologists have found lenticular objects at many sites, including Tyre, Pompeii, Cnossos and the Fayyum. 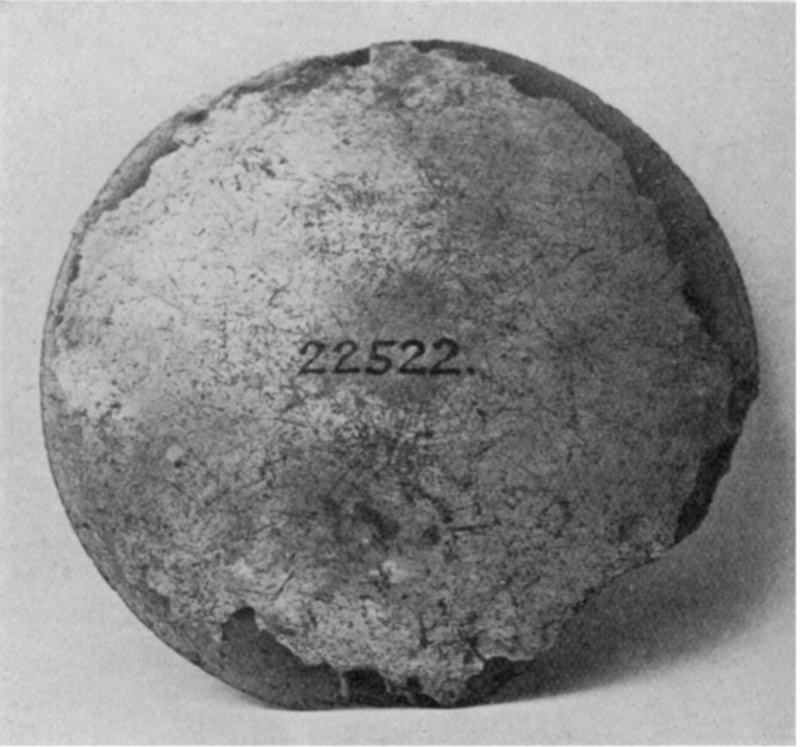 Although the finds at Pompeii (which started coming up in the eighteenth century) and some other sites have often been interpreted as jewelry, and some others were probably lenses used for ignition, the especially high quality of some of the lenses found recently leaves little room for doubt that they were magnifiers. 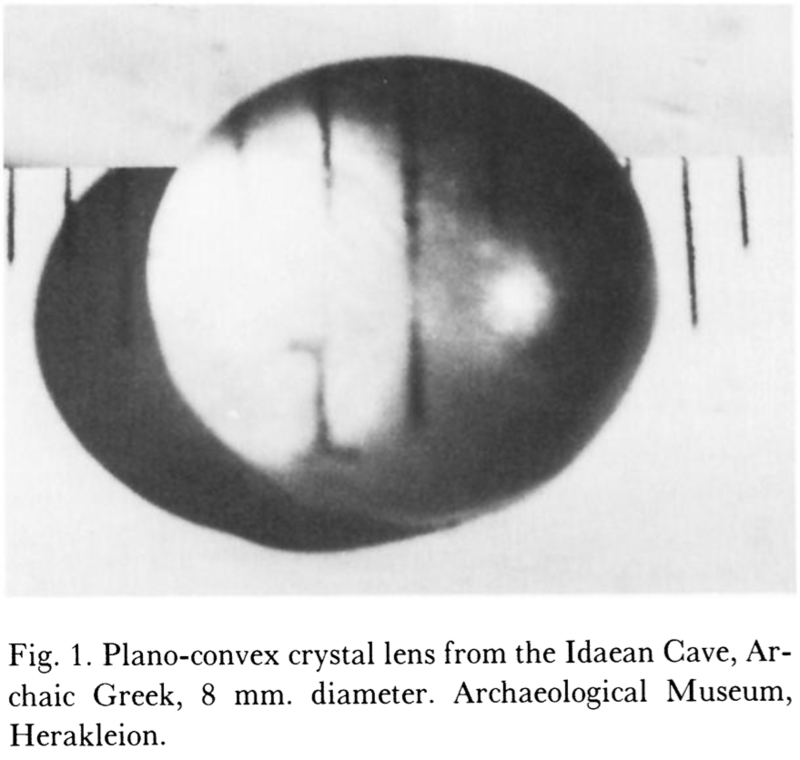 One of two plano-convex lenses found in Crete in 1983, for instance, magnifies well at least seven times and still has visible signs of polishing. The Archeological Museum in Heraklion, Crete, has lenses on display, some of prime quality, and has others in storage. Some of the finds, like the ones from Cnossos, go back to the bronze age and show that lens technology, though completely lost in early medieval Europe, is in fact very old. To accept the idea that magnifying glasses were used in Antiquity we must account for the scarceness of literary references. We have seen that literary sources fail to mention other technological products that existed for sure. Also we can imagine that the use of magnifiers was confined to a few fortunate souls: probably some professionals to whom they would be of most help, such as fine engravers and jewelers, and the very rich. Nero and his famous emerald monocle may be a case in point. Moreover the lack of literary references to magnifiers may to some extent derive from the beliefs of modern scholars: a person convinced that something did not exist in Antiquity cannot but misunderstand any passage mentioning that thing. Thus, Alcaeus wrote that wine is a man’s dioptron. He probably meant that drink as it were magnifies a person’s behavioral traits, putting them in evidence, but the belief that lenses were unknown has caused dioptron to be translated as “mirror”, sacrificing both the general sense of the passage and the natural meaning of the word, which on etymological grounds can be presumed to mean something that is seen through (whereas a mirror is katoptron). Strabo uses the same word to refer to chunks of a transparent mineral exported from a certain place in Asia Minor. While the ancient use of lenses for lighting fires is certain and that of magnifying glasses seems at least very probable, few have been willing to entertain the possible existence of telescopes in Antiquity. But, if nothing else, this hypothesis would explain the many medieval pictorial and written references to an object that supposedly would not be invented for several centuries yet! As more direct evidence we may cite a passage in Strabo mentioning “reeds” or “tubes” by means of which images can be magnified thanks to the refraction of visual rays, and perhaps also one in Geminus explaining that experts in geodesy, who used the dioptra, based some of their work on the phenomenon of refraction. The conjecture that dioptras provided with lenses—in essence, telescopes — were known in the Greek world may seem very daring, but the possibility would become less far-fetched if there were confirmation for the suggestion of Giovanni Pettinato that such instruments were already used by Mesopotamian astronomers in the Late Assyrian period. Hipparchus was an expert in dioptrics, in that he perfected and described dioptras and probably already knew the instrument described by Heron. It is not inconceivable that he found a way to apply knowledge about refraction to the dioptra. The first known and accepted use of these magnifyiers as an actual reading aid in common translations as of late is reported by Chrysippos. He describes that Archimedes not only built, measured and calculated burning glasses and lenses. He actually describes how Archimedes wore such a chrystal affixed to his forehead as a vision enhancer. British Museum curator's notes propose that the lens could have been used "as a piece of inlay, perhaps for furniture", and that there is no evidence that the Assyrians used lenses for their optical qualities, e.g. for magnification or for starting fire. There is a popular idea that magnifying glasses are a relatively modern invention, and that consequently all antique die-sinking and gem-cutting must have been done by people with very short sight, which is equivalent to having a magnifier permanently attached to one's eyes. This idea is so prevalent that when ancient magnifying glasses are found, scholars go to the trouble of trying to find some other use to which they could be put, the favourite suggestion being that they must have been ornaments. Similar legends seem to have grown up round glass, and it is sometimes stated that the secret of making it has been lost and then rediscovered centuries later. This is probably true of one or two special glasses, but the usual varieties have been continuously made from very early times. The earliest date of its manufacture is not known, but rare specimens have been found in Egypt, one of which goes back to the Eighth Dynasty, whilst a piece in the Ashmolean is claimed to be First Dynasty if not Predynastic. The most important early piece, however, is the large piece of blue glass from Abu Shahrein in Mesopotamia, which dates about 3000 BC. But whatever may have been the original date of the invention of glass, we know that by the fourteenth century B.C. there was a well-established centre ofglass manufacture in Egypt, and a totally different one in the Aegean, where a technique was in use which did not penetrate into Egypt until a very much later date. 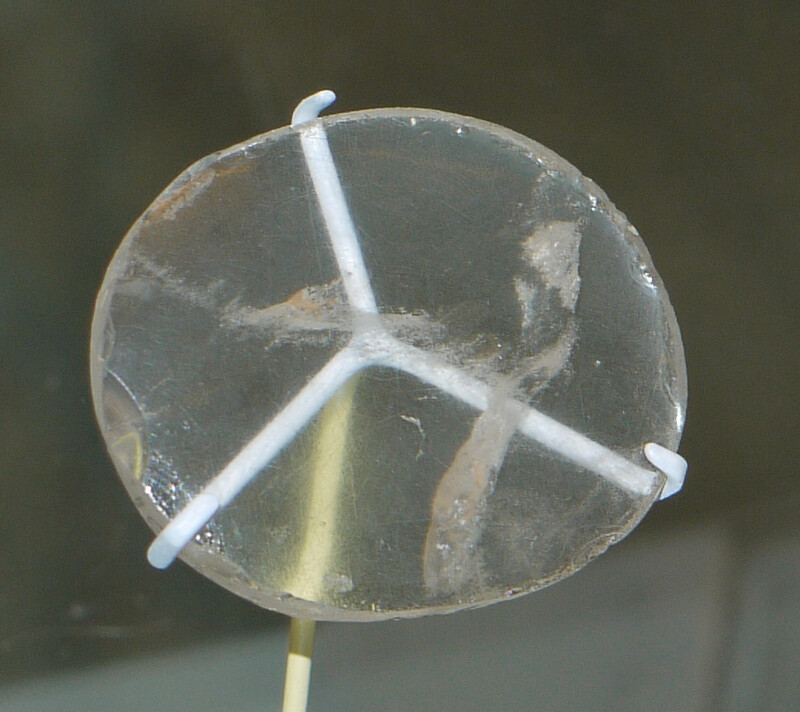 Also, although the amount of transparent glass made in Egypt at that time was only a trifling proportion of the total output, much of the Aegean glass was transparent and a considerable amount colourless. The date of the first manufacture of colourless glass need not, however, limit us in finding a possible date for early magnifiers, as crystal was always to hand and the earliest magnifiers known are in that material. […] But the most conclusive proof as to the use of early magnifying glasses is the discovery this year by Mr. E. J. Forsdyke in Crete of two crystal magnifying lenses that date back at least as early as 1200 B.C. and probably 1600 B.C., as most of the small objects from the tombs where they were found are of that date. The larger of these is eight-tenths of an inch diameter and has a focus of about one inch. It would give a magnification of ten diameters, which is rather more than that of the usual achromatic pocket magnifiers in use to-day. Historians certainly do not agree that the Romans invented glass. Historians and archaeologists are currently rediscovering and arguing about very ancient optics and their applications in glass or other suitable material. Even very early telescopes do not seem completely outlandish anymore. 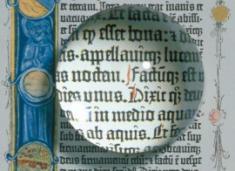 While the earliest proof for their use as correctives in vision – and especially for reading – may be debatable, the use as burning lenses and magnification devices is certainly millennia old and only lost in early medieval time. Examples of these devices are found both in the form of artefacts and literary evidence. It's somewhat tempting to assume one might have used magnifying glasses or something to that effect in order to read before the invention of eyeglasses. The earliest evidence of a magnifying device was a joke in Aristophanes's The Clouds from 424 BC, where magnifying lenses to start kindling were sold in a pharmacy, and Pliny the Elder's "lens", a glass globe filled with water, used to cauterize wounds. (Seneca wrote that it could be used to read letters "no matter how small or dim"). Put another way, even though the phenomena wasn't properly described and understood until much later, the magnifying property of lenses was known as far back as antiquity. What more, it was described as early as Seneca as a potential reading aid. Cursory googling for medieval lens examples yields this page, among others. It has a pictures of a crystal lens that pre-dates eyeglasses. Not the answer you're looking for? Browse other questions tagged ancient-history middle-ages ancient-rome technology or ask your own question.